Tackling the issue of fleas on your pets and around the home can be an exercise in frustration! Join Dr Janey to find out why this is the case and how you can more effectively address fleas in a way that will have maximum impact while still being safe for your pets and the entire family! Click here to view the life cycle of a flea, you will soon discover that spending all your time and energy on eliminating the adult fleas (only 5% of the population) is not going to deliver the best results for your time and efforts! 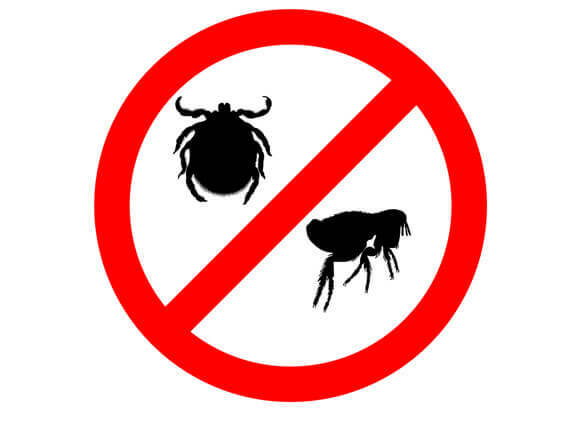 The pupae suspended in a cocoon while representing a slightly higher percentage of fleas (10% of the population) are resistant to all forms of flea treatment, so this is not an aspect of the flea population that is worth addressing. This leaves us with the flea larvae and flea eggs (together comprising 85% of the population!). When you realise that these two aspects of the flea life cycle live predominantly in your pets’ envirnoment, it becomes clear that in order to achieve maximum results for your efforts your main focus on flea treatment needs to be the environment where your pet hangs out the most – both in the house and garden! We hope you find this helpful and enjoy the summer months relatively flea-free!